The dinosaurs never became the ruler of the Earth, before the 'apocalypse' occurred 65 million years ago, when a giant meteor hit the escape from Earth's atmosphere and then trigger extinction. If they were able to find a telescope that time, the ancient creatures may be able to see the lava flows on the Moon surface. Scientists initially suspected, volcanic activity on the Moon was dead about 1 billion years ago. However, the data from the Lunar Reconnaissance Orbiter (LRO) of the United States Space Agency or NASA shows the lava flows on the surface of Earth satellites may be less than 100 million years ago. "This finding is a kind of knowledge, literally, will make geologists rewrite their books that discuss about the Moon," said John Keller, the LRO project scientist at NASA's Goddard Space Flight Center in Greenbelt, Maryland, USA, as quoted from SPACE on Thursday, October 15, 2014. When orbiting the Moon in 1971, Apollo 15 astronauts take pictures of volcanic deposits on the surface of the earth satellite, called Ina. The researchers suspect, Ina is still very young and may have formed in a local explosion of volcanic activity, even though most of the Moon volcanism occurred between 3.5 billion to 1 billion years ago. 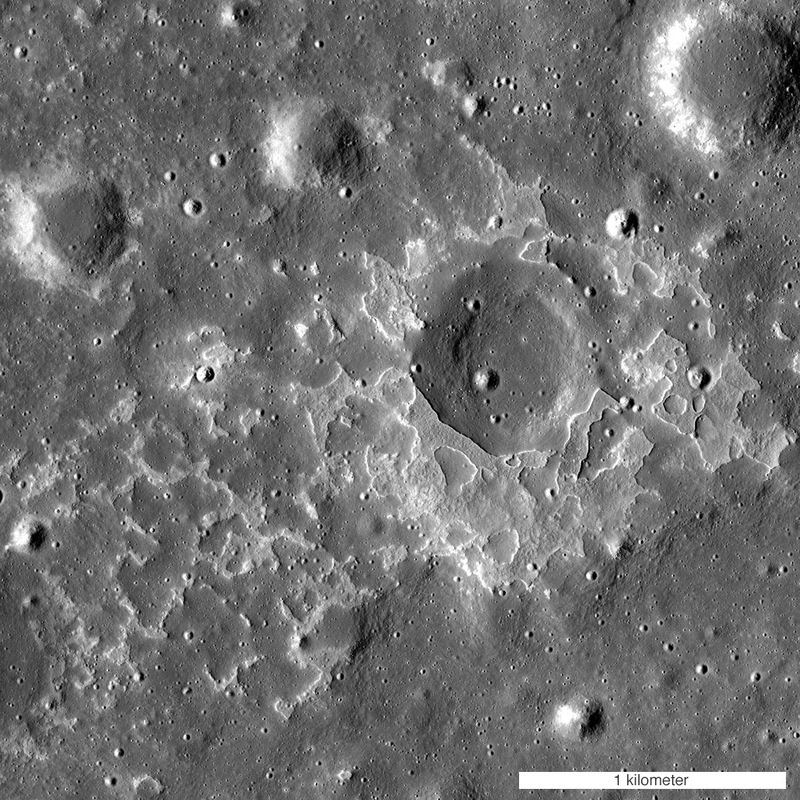 But now, the photos of the LRO satellite - the orbiter which arrived at the Moon in 2009 - showed Ina is not alone. It had a lot of 'friends'. The scientists found 70 similar pattern in dark volcanic plains on the Moon which faces the Earth. The unique rock deposit is also called irregular mare patches. Mare is a vast basalt plains and dark on the Moon, formed by the freezing of the magma flooding due to ancient volcanic eruption processes several billion years ago. Their existence is characterized by rounded mounds that look smooth bulge mixed with coarse, rock formations with size is less than 500 meters. Too small to be seen with the naked eye from the Earth. These findings indicate that the volcanic activity on the Moon spreads in a relatively not so long ago - at least in terms of geology. Three deposits estimated age of less than 100 million years. And Ina probably was less than 50 million years. The scientists conducted a study with the techniques which associate the measurement of the Moon crater with the age of Moon dust samples that taken during the Apollo missions and the Soviet Union's Luna robotic missions. The findings are described in detail in the Nature Geoscience on October 12, 2014. The deposit findings could also change the way of scientists think about the temperature of the inside or interior of the Moon.